Sewing shirts are projects I really enjoy! I purchased the Gertie Sews Vintage Casual Book a while ago and decided to sew the vintage style blouse! 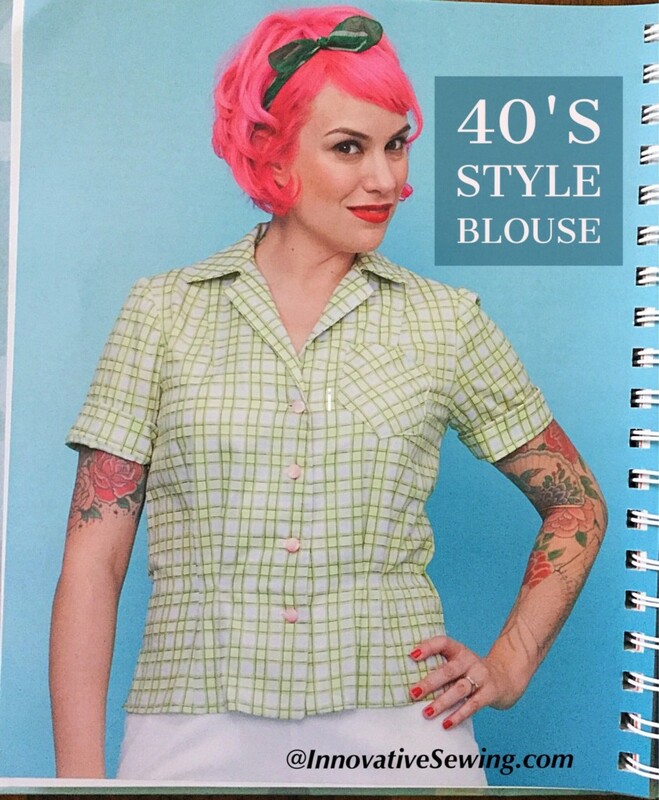 I must say my finished 40’s style blouse looks so amazing! This is my favorite go-to shirts thus far! I’ve sewn two shirts (one with rick rack & one without) which took me very little time to sew! What did you like or dislike about the pattern? I love the finished product! No dislikes. Would you sew it again? Yes, plus a few other items in her book. The shirt was made with Woven Shirting fabric which is made of 100% cotton. The fabric is very durable, holds the structure in garments, is easy to sew and maintain. 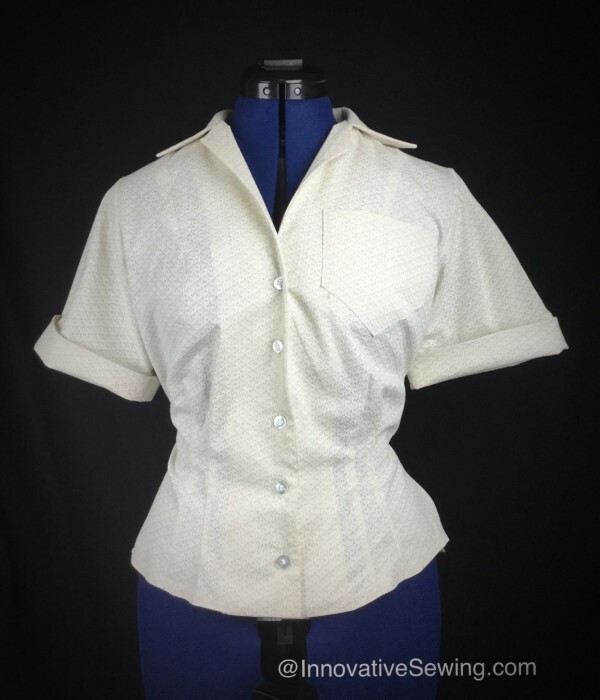 Other great shirting fabrics that will work well for this blouse is Chambray, Flannel, Stripped, and Print Shirting fabric. Let’s not forget Cotton Lawn fabric. It got a nice soft hand, made with 100% cotton and is easy sew. You will love the way this fabric feels on your skin! This is the picture that inspired me to sew this very versatile shirt. First of all, I simply love this book! 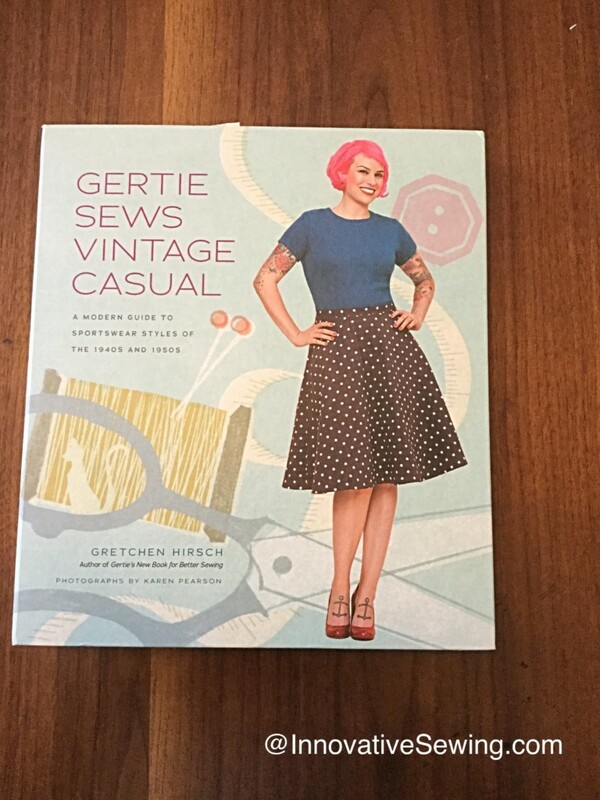 This book has so many patterns to choose from such as dresses, skirts, sweaters and more. If you are a fan of vintage style clothing mainly from the 40’s to the 60’s, this is one book to look for. Hey, I’m not finished with this book yet! I am contemplating on my next garment to create so stay tuned!